People are the key to any successful organisation and Kate is an experienced facilitator, able to work with individuals and groups at all levels to develop their potential and capacity for change, working towards a shared vision. Kate can also help you to recruit the right person to the right post. Action - A well conceived plan is useless without clearly defined tasks and people who will take responsibility to do them. With her extensive experience as a hands on manager, Kate can help you and your employees to decide what needs to be done in order to achieve your goals. Negotiating achievable tasks that match individual as well as organisational aspirations can be tough - Kate can help you along the way. Success - How far are you to achieving your aims and targets? How will you know if you have been successful? Who will decide when the individual tasks are done and how? Deciding on criteria for success, especially on some of the 'softer' management targets which will define your culture can be hard. Kate can help! Moving on - is your organisation treading water or stagnating? Kate can help you to work out what's holding you back and how to put it right. Culture - Your organisation's culture is key to happy, productive staff and a successful future. 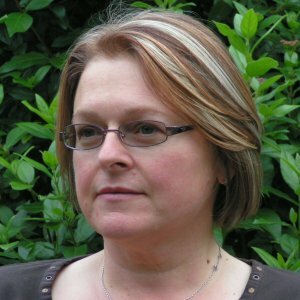 If you are struggling to work well with staff, directors, governors, managers, trustees or any other group, especially if you are going through a period of change, Kate can work with you to diagnose what needs to be done to help you to build more productive working relationships at any level. Are you struggling to work effectively with groups of people in your organisation such as governors, managers or trustees? Do you need an objective facilitator to help you through managing change? Are you struggling with your strategic direction while keeping your staff with you? Are there aspects of your culture that need to change to enable your organisation to meet the challenges of the 21st century? Then Kate can help you!